A 45 minute performance, involving a mixture of juggling, magic, balloons, audience participation and all around tomfoolery. Perfect for all age shows, birthdays, backyards, living rooms, small stages and events. Need some fun for your next big event? Laugh harder than you ever had at "whose line" style games or a customized improvised play, from the boys of GRIMprov. 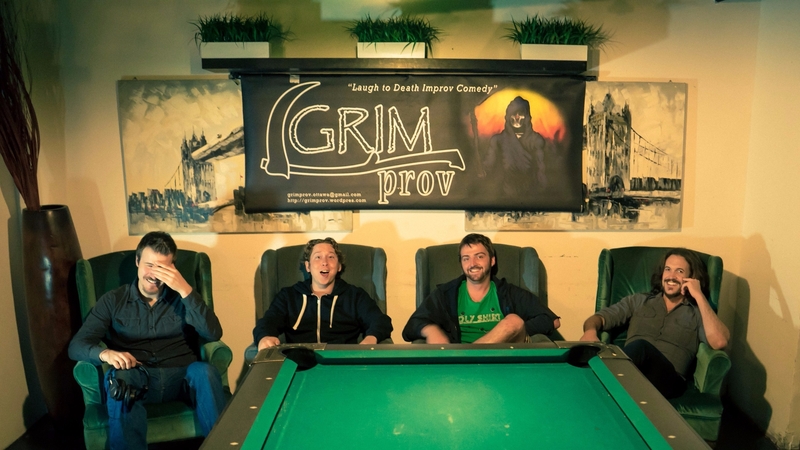 GRIMprov is a Five member improvisational comedy troupe that have performed shows across Ottawa. They have over 80 styles in their repertoire and many positive reviews. Shows range from 30 minutes to an hour. Find out more about GRIMprov or contact them with questions. 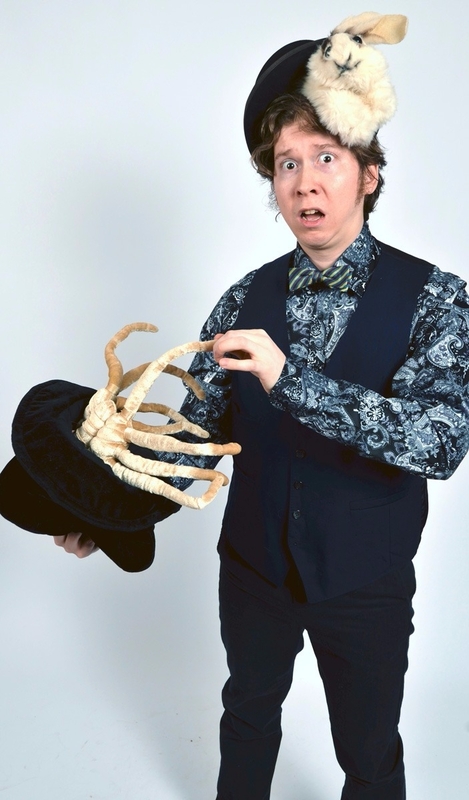 Spice up any event with close-up magic that your attendees will remember. A roaming magician moves from table to table or through the crowd creating mini miracles with a personal touch. No stage need. Sometimes a very specific kind of character can make the day complete. 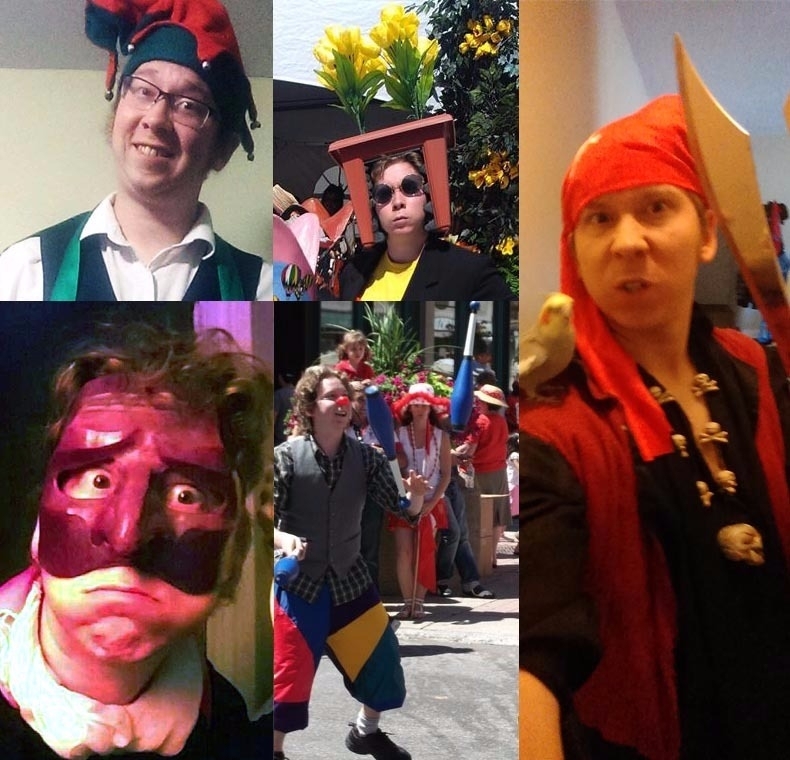 Be it a Magic Christmas Elf, Pirate, Commedia dell'arte Pantalone (Mask), Flower Mime, Bellhop, or Clown. Roaming characters animate the space, are highly interactive and very entertaining. Great for big spaces, entertaining long lines, breaking the ice, and making the time memorable. 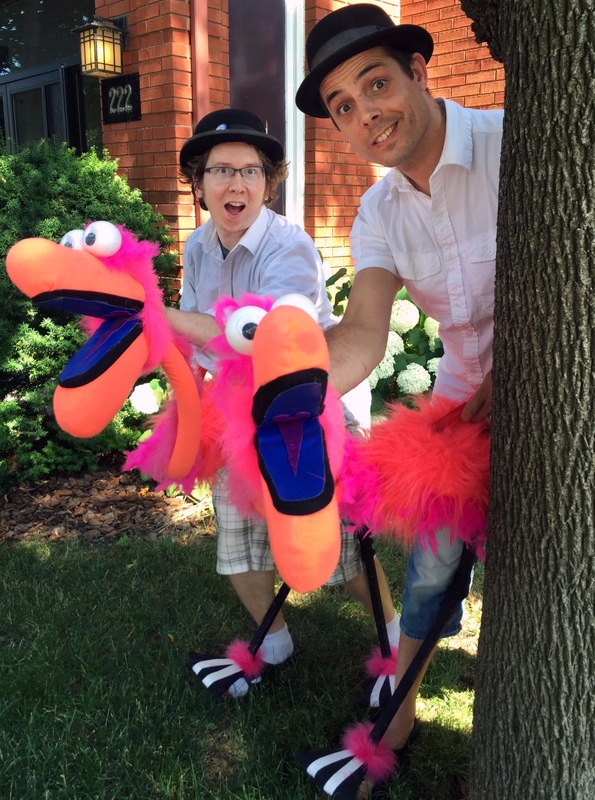 Puppets are a great eye-catching visual and they are expressive characters who get all the attention. They can roam, interact and perform to all audiences. They stand out of the crowds or better yet on a stage. Shows like the Eccentric Puppet Emporium, from Puppets-Up International Puppet Festival 2016. Incognito premiered at the 2017 Ottawa Fringe Festival, in Wishy Washy. 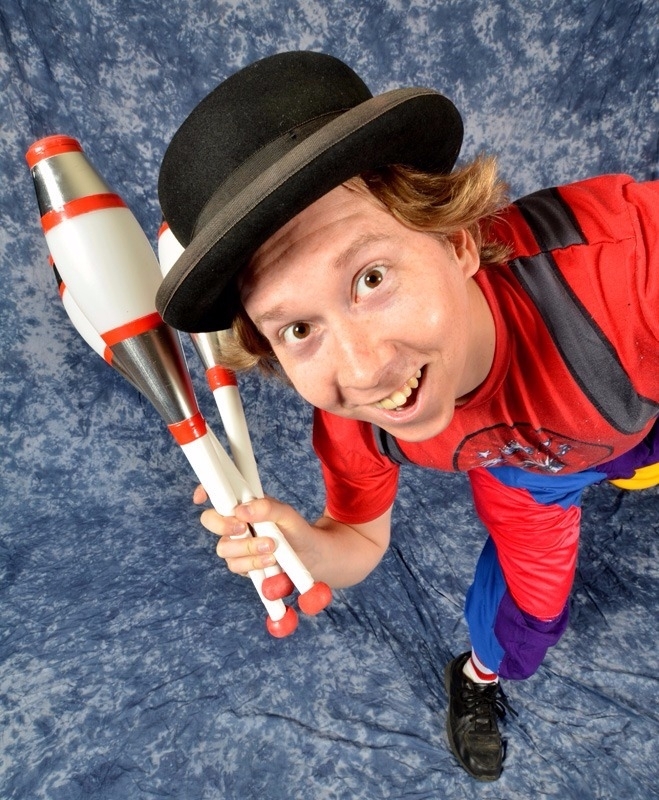 This one hour stage show mixes clown, magic and real magic! 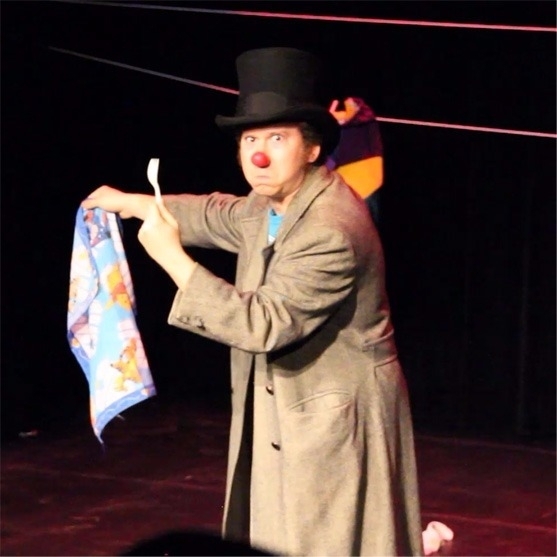 Incognito is running from the stigma of spooky clowns and pushes himself to try his hand at magic. Just like all shortcuts he should have been careful what he wished for (Spooky/ Silly Genie subplot).